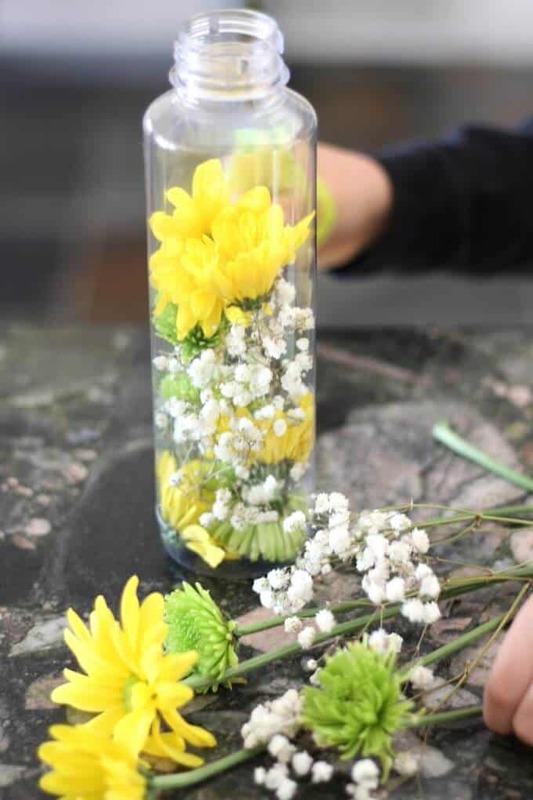 A simple spring activity, make a fresh flower discovery bottle. We used a bouquet of flowers that is on it’s way out to create this fun flower sensory bottle. Plus it was a great opportunity to practice fine motor skills. You can even use what’s outside to make our backyard nature discovery bottles! 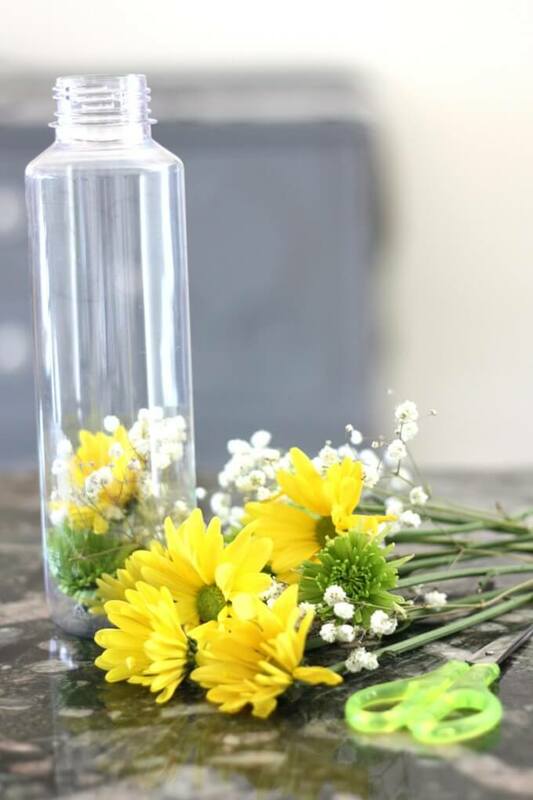 Our real flower discovery bottle is a great way to repurpose something you already have! I would have to throw these flowers out anyway, and my son asked if he could cost the flowers off the stems. Sure why not. Let’s also stick them in one of our bottles while we are at it. 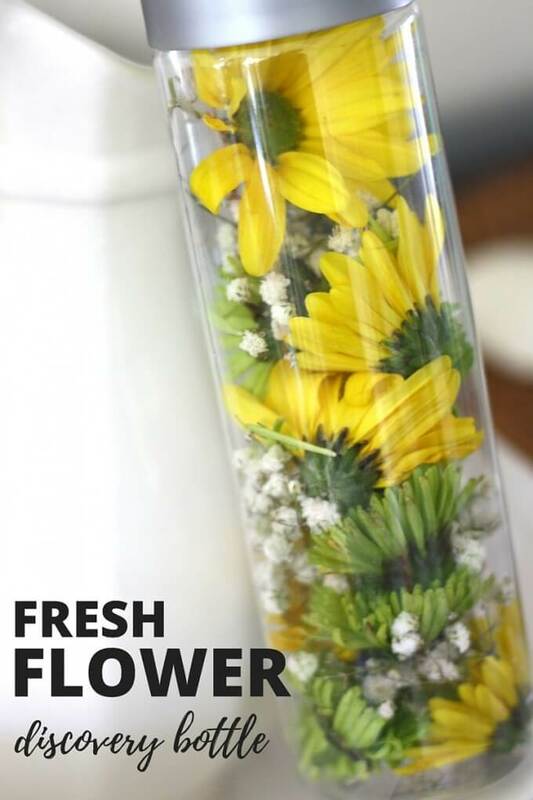 Try this activity anytime you get a bouquet of flowers. That’s pretty easy isn’t it? 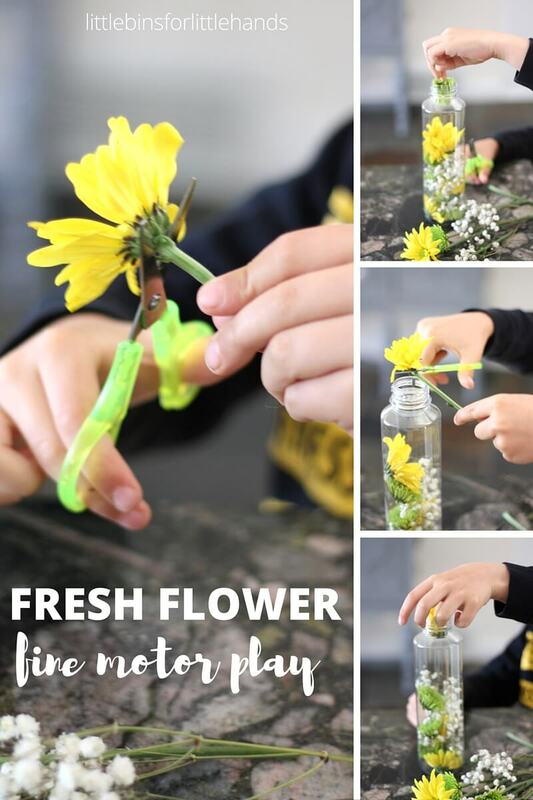 I love how simple ideas like this fresh flower discovery bottle look so beautiful and provided us with a little morning fun too. Did you know that you can use the white ones for a cool color changing flower science experiment. I like finding fun ways to incorporate different materials into our scissor skills practice, and these flowers were perfect! Plus shoving them into the bottle also worked on finger grasps and finger dexterity! Fine motor practice can be fun! We have a few more great fine motor ideas that are playful too. 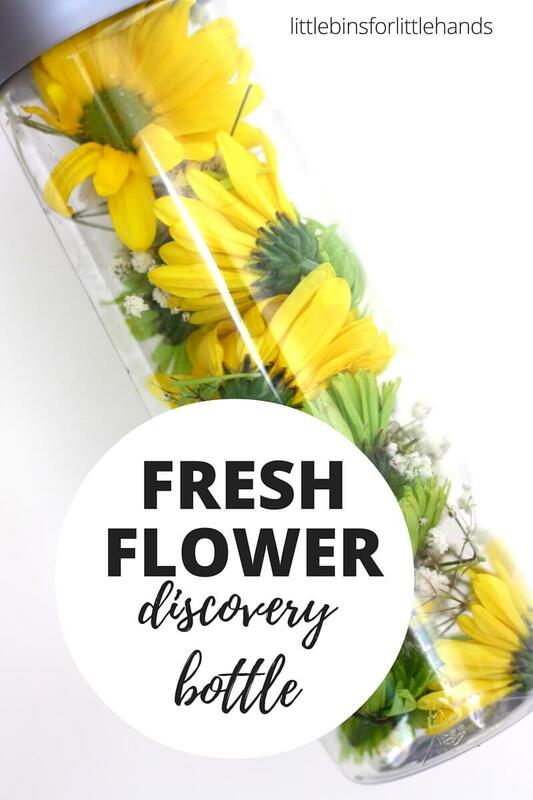 Depending on your bouquet, your fresh flower discovery bottle will be different every time! Add a bit of science by learning about the different parts of the flower. Go ahead and dissect one too! Look up the names of the flowers too! Perfect Spring activity for early childhood play and learning! Observe, explore, and experiment. 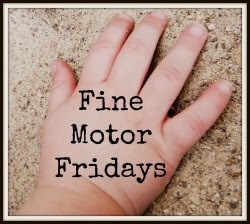 New fine motor ideas added each week! GET OUR BOOKS! VOLUME 2 AVAILABLE NOW!